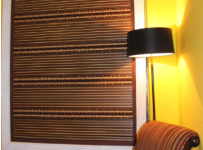 Nevermind if you live in a small or large space, multifunctional furniture is always great to have. So, today we’ll talk about coffee table ottomans. 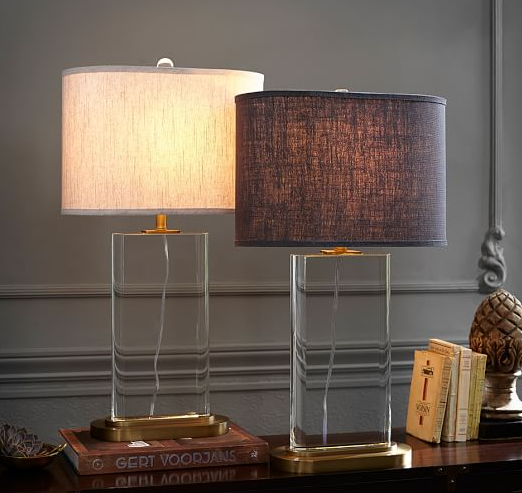 They’re great to have in any living room, or a bedroom. So, you can use it both ways, depending on the occasion. Rest your feet on it when you’re reading a book after a hard-working day, and serve a hot beverage on it when your friend comes to visit, and that’s why multifunctional furniture is awesome. The topic of this article are cream/beige pieces that could bring elegance to any home, all of them are affordable and can be easily ordered from the US-based online stores. 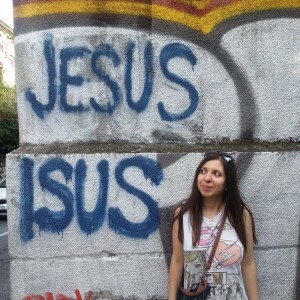 Check them here! 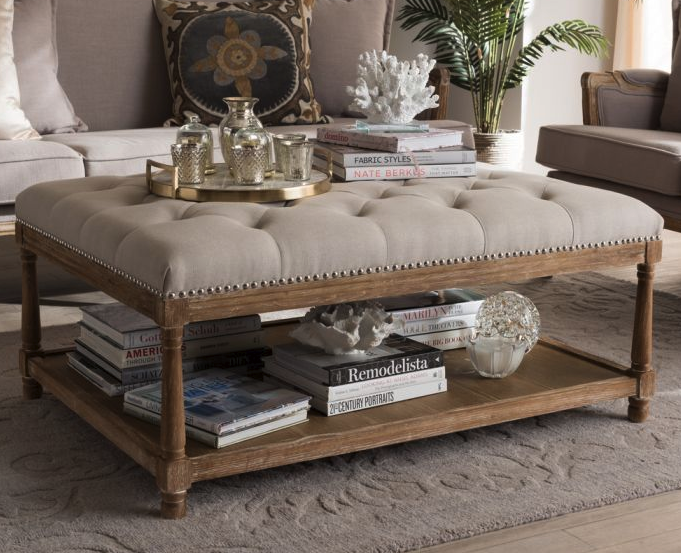 This gorgeous coffee table ottoman is a beautiful combination of rich, tradition and modern elegance. The sturdy construction makes possible to support magazines, glasses, mugs, bowls of popcorn when you use it as a coffee table, or your feet when you use it as an ottoman. Hollis Ottoman is a stylish piece that will add a touch of traditional, classic style to your living room. Its beautiful tufting and antique-style dark legs will add a special look to any interior, and the design is by Jennifer Taylor Homee. 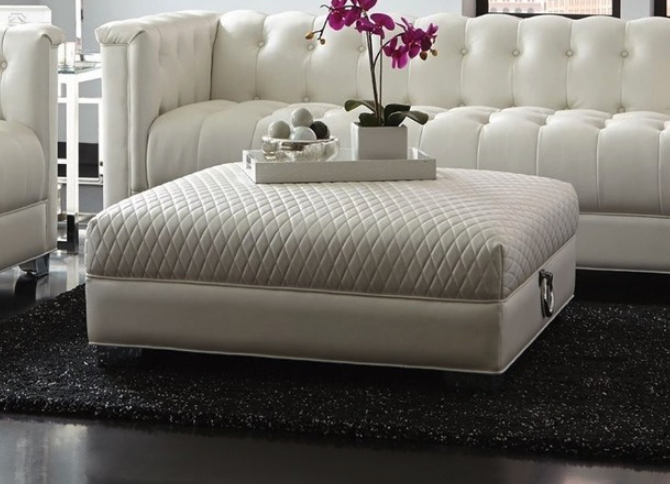 Coaster Chaviano Large Ottoman With Quilted Top is a stylish and classic piece of furniture that will add a special charm to any space. It’s also a multifunctional piece that can be used to seating, for leg rest while you’re watching TV or reading your favorite books and magazines, and finally, it can be used as coffee table. 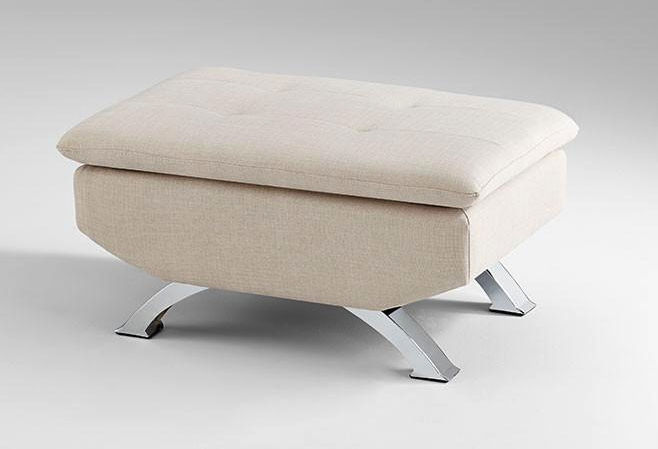 The ottoman by Urban Design Living is the perfect choice for modern or coastal homes. 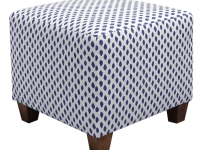 This ottoman is versatile piece that could be used in multiple ways. Its frame is made of solid pine and metal and is covered with soft cotton canvas in modern stone gray. It can be combined with the other furniture from the same collection. 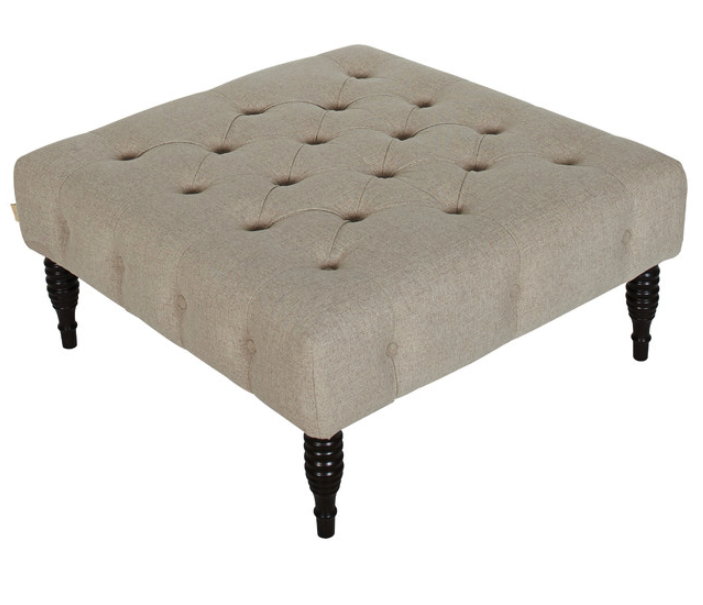 Fellini Ottoman could bee a beautiful addition and add elegance to any living room. This ottoman combines style and quality with its wood construction, chromed legs, and beautiful beige upholstery. No matter if you use it as an ottoman for seating, or a coffee table, this piece will give a timeless sophisticated look and elegance to a room. 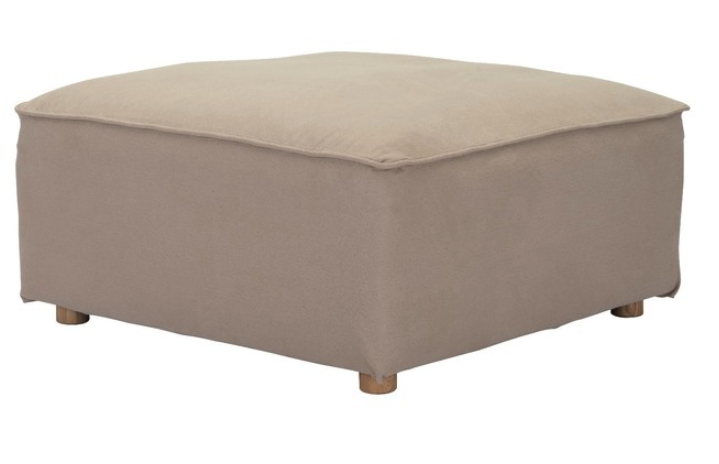 This gorgeous ottoman is a great choice if you want to add a touch of traditional design to your contemporary space. It’s a nice mix of style and functionality, and you can choose in which way you can usee it, as a coffee table or as an ottoman as it’s practical and pretty. Good furniture of coffee table ottomans. We can use them in two ways. Thanks for sharing this post.